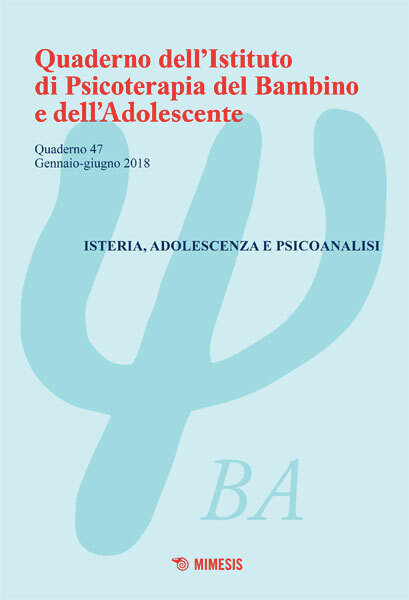 PsIBA Institute publishes a biannual edition of "Quaderno dell’Istituto di Psicoterapia del Bambino e dell’Adolescente" ("Journal of the Child and Adolescent Psychotherapy Institute"). It aims to be a reference and a place for discussion between the Institute partners and other colleagues working as psychologists, psychotherapists, neuro-psychiatrists, psychiatrists, and mental health workers about theoretical and clinical-practical issues related to developmental psychoanalytic psychology. The child and adolescent psychotherapy is one of the most complete and complex psychotherapies coming from Freudian psychoanalysis. It is complete because the therapist must work having in mind the tensions of the relationship between parents and sons. It is complex because the psychotherapist must appeal not only to those technical skills for working both with children, adolescents and with adults and families, but also to those emotional patterns for dealing with the hard tensions between parents and sons. In other words, the psychotherapists must continuously swing between neutrality and empathy, in order to avoid those collusions or dysfunctional alliances that lead the psychotherapy to a failure. Thus, the journal aims to offer both theoretical-epistemological and clinical contributions on the psychological treatment of the child, the adolescent, and her or his family system in all its facets. Finally, the editorial board is also engaged in publishing the proceedings of the conferences, the workshops, and the other cultural meetings organized by the Institute every year.